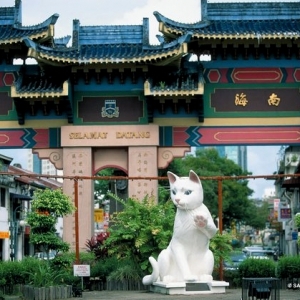 A souvenir hunter and gastronome’s haven, Jalan Padungan is virtually an extension of the Main Bazaar due to its proximity. 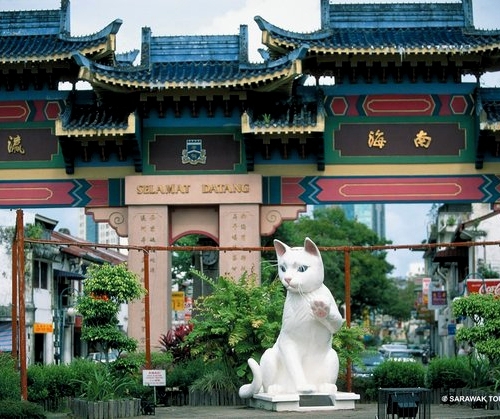 It has some excellent coffee shops and restaurants, Cafes, Pubs and some unusual specialist retailers amidst the line of old Chinese shophouses, mostly built in the 1920’s and 30’s during the rubber boom. 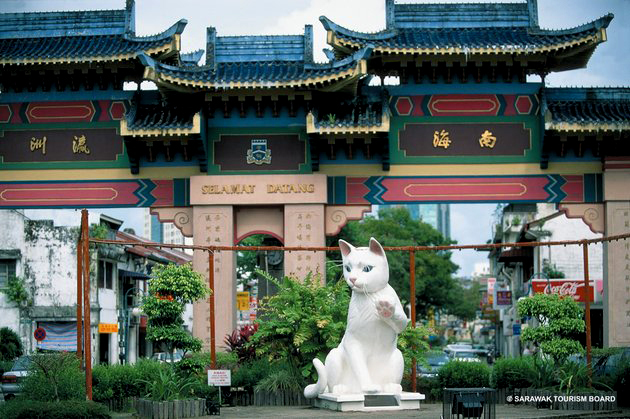 Look out for the traditional Chinese pastry shops and their traditional candies, and the variety of local fares such as Popiah, Sotong Kang Kung, Belacan Beehoon and many more. 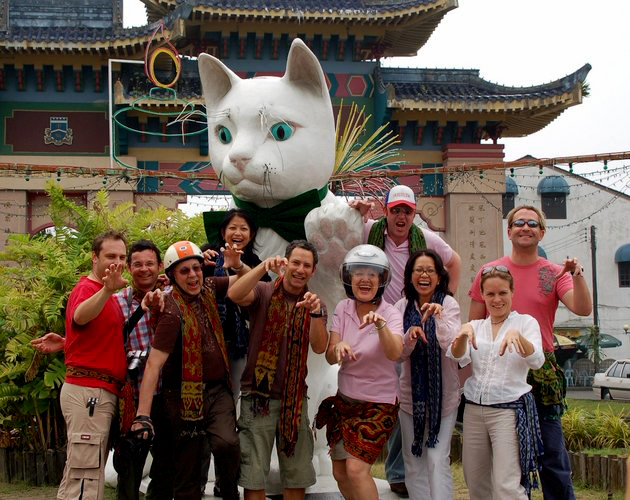 Some buildings are very elegantly decorated, and a walk round the back of them can reveal fascinating architectural details. 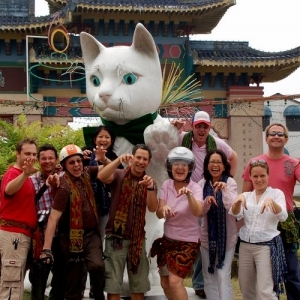 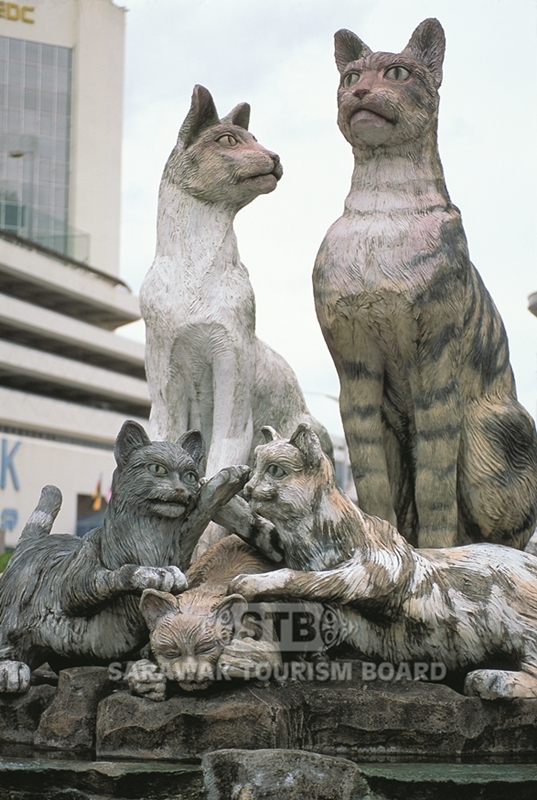 The Great Cat of Kuching, a monumental kitsch statue, is situated at the junction of Jalan Padungan and Jalan Central. 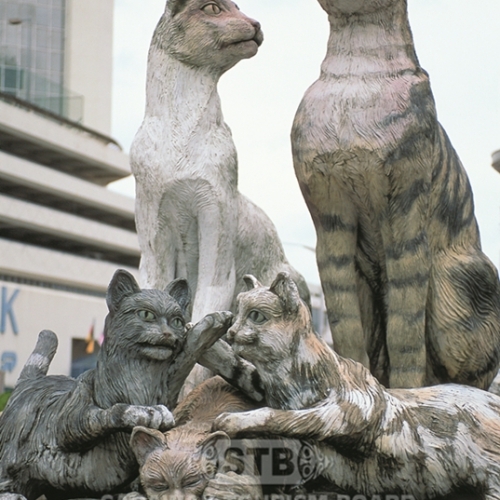 After years of being the king of kitsch, the Great Cat now has a competitor – the Cat Statue opposite Hotel Grand Margherita.